The glass ceiling remains well and truly intact within the Australian SME sector, with limited opportunities for women to have a crack at leadership. So says a report from Australian businesswomen’s organisation Chief Executive Women (CEW) carried out in conjunction with Dun & Bradstreet. Its conclusion from surveying 1200 Australian CEOs was that 75% of SMEs had no women in their senior management teams – and had no intention of appointing any women, either. More than 65% of SMEs were not requiring women to be on the shortlist for leadership roles – even though many major firms have committed to achieving 40% female representation at senior management level over the next year. Australia is lagging behind other countries in terms of gender equality, and there have been calls to improve targets. Non-executive director and former CEO of Dun & Bradstreet, Christine Christian, said the survey results revealed the size of the challenge. “Just 22% of businesses have appointed, or intend to appoint, at least one woman to a senior management position. SMEs represent the largest employer by number in Australia, so it is critical that we support them to improve the levels of gender diversity in senior management and the productivity benefits that flow from that,” she said. It was the morning of the Mayoral/London Assembly elections. I was nudging my eight-year-old daughter to wake up. 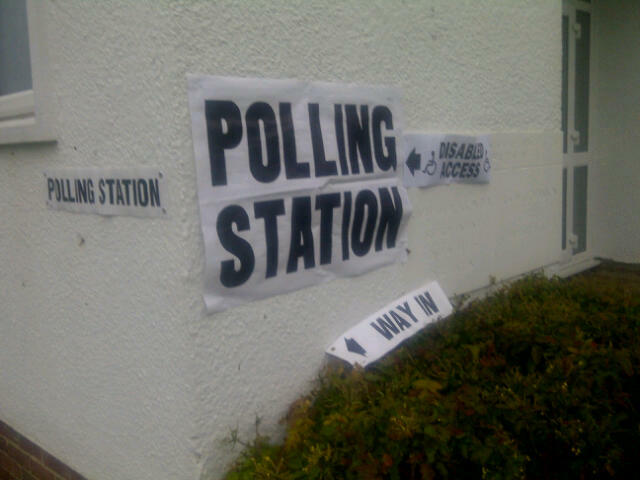 I was flexing my polling card, eager to catch the polls first thing. She was catching my excitement about voting, but not really understanding why. Feel the pull of the poll? How do I, a professional woman who makes all the choices over her entire life – and who has grown up against a backdrop of increasingly powerful female contribution to business and the economy – meant to say to a little girl who has only known that she can do anything the boys can do, and better? While I do, of course, teach her that it’s about being true to yourself – not competing on any gender level – I did find myself faced with her facial expressions of derision, disbelief and dismay that there could have been a time when women weren’t equal to men and they had to resort to chaining themselves to railings and fighting to get the vote . The majority of headhunters believe the recommendations in the Davies report could backfire and lead to positive discrimination, according to a survey by InterExec. The company spoke to 80 senior executive headhunters, 80% of whom said companies would fail to meet the Davies target of 25% female board representation by 2015. There is also a fear among 83% of headhunters that by trying to fill those quotas, excellent candidates may be turned down because firms need to make up their female numbers. In other words, it could lead to positive discrimination. However, 61% of head-hunters (twice as many as last year’s survey) agree that firms should more than double the women on their boards by 2015. There are now 141 women who hold 163 FTSE 100 board seats (out of 1,086 board positions). The number of companies with no women at top levels has dropped to 11, and the number of companies with more than one woman on the board has increased to 50. Davies recommends 25% female board representation by 2015, so we are definitely on the right track. If this pace continues, 26.7% of directors could be women by 2015 and 36.9% by 2020 – exceeding targets in the Davies report, and perhaps negating the need for quotas. Home Secretary Theresa May, who launched the report, and who is also Minister for Women and Equality, was fairly vocal on the subject of quotas, saying that she had always relied on working hard to get a job – and getting it on merit – rather than being appointed to make up the numbers. The report shows that senior level posts are opening up to more women: of the 47 new female appointments, 29 of the women (62%) have had no prior FTSE board experience. This suggests that the recruitment and selection process is becoming more creative, according to Cranfield. However, when you look at the small print, it becomes apparent that there’s a wide gap between the numbers of women non-executive directors (143 women, 22.4%) compared with the numbers of female executive directors: (20 women, 6.6%). The data also shows that while women are hired in junior and middle-management roles, but fail to reach the board. The global average for women on boards has nudged above 10% – but the UK is now ahead of the US, where the proportion of women on the board is 12.6%, according to GovernanceMetrics International. On International Women’s Day 2012, are women finally conceding to boardroom quotas? When Cherie Blair writes in favour of quotas, you can be pretty sure that a woman who’s made it in a man’s world knows what she’s talking about. I doubt very much she would be supporting a move to oblige boards to have a set percentage of their members to be female if she wasn’t convinced of the business case for doing so. Her opinion piece in the Evening Standard, Women in Boardrooms Make for Better Businesses, looks at the EU’s plans to introduce tough quotas to put women in the boardroom. Justice commissioner Viviane Reding says that women’s patience has run out, and firmer measures need to be introduced to ensure gender balance at the top of the nation’s big businesses. I agree there is a risk that quotas would produce trophy directors and that they would patronise women – even Lord Davies has said quotas would be a mistake. However, what options are left? With plenty of evidence to show that diverse boards make for better business, how will companies achieve gender balance without being forced to? I’ll be watching the unfolding of the quotas debate with much interest. 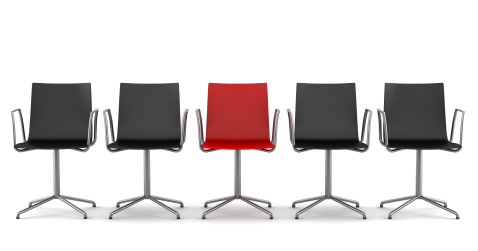 Are recruiters key to boardroom diversity? Boardroom quotas? Who wants them – really? Who wants to be a woman chosen just to make up the numbers? And who wants to be a man sitting elbow-to-elbow with a woman at the polished table of power, believing she ‘s only there for quantity rather than quality? In some circles, quotas amount to positive discrimination: women and ethnic minorities should only ever be promoted/appointed on merit, and on the basis of being absolutely the right person for the job. In other circles, quotas are being discussed in terms of a grudging necessity, or a dragging inevitability. A survey from White Water Group revealed that two-thirds of senior women believe that quotas may be the only way to achieve Lord Davies’ target of 25% female board representation by 2015. Yet a year on from the Davies report, and quotas are the hot potato that no one wants to grasp or end up lumbered with. Among the many surveys that have been carried out to mark the one-year anniversary, it is the comments from recruitment firms that stand out. Are senior women accepting the inevitability of the ‘blunt instrument’ of boardroom quotas? Two-thirds of senior female leaders believe compulsory quotes are necessary to achieve targets of 25% female representation by 2015, according to a poll from leadership consultancy White Water Group. A year on from the Davies report, which set out the 25% target, two-thirds of the women polled – from 30 corporate women’s networks representing 10,000 female employees – had seen no improvement in female advancement in their organisations. 80% believe it will take up to 20 years to reach 30% women on the board, and 20% think it will take longer than that. 66.7% believe that self-regulation is not enough, and that quotas may be necessary. Averil Leimon, co-founder of White Water Group, said: “The women we spoke to don’t feel that change is going fast enough or far enough. Quotas may be a blunt instrument but they may be inevitable.